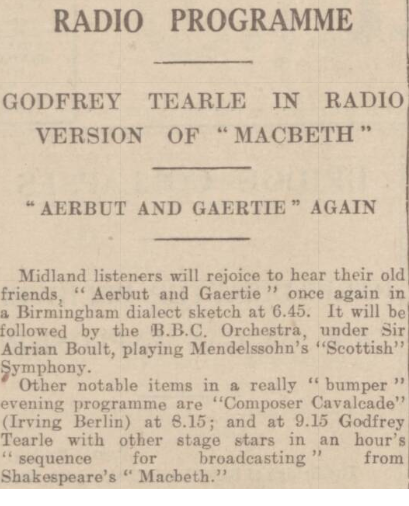 This was an extract from "Macbeth, King of Scotland", broadcast on BBC radio, on 22nd December, 1939, at 9.15pm. A sequence for broadcasting, from Shakespeare's ' Macbeth', arranged by C. Denis Freeman and produced by Val Gielgud. Taken from The Birmingham Mail of 22 December, 1939.